Hopleys GMA (incorporating Keene and Kelly) are solicitors in Wrexham and Mold providing legal services accross a wide variety of law types and areas – and is dedicated to customer service excellence. Part of a national network of law firms, we are modern and progressive and work with individuals and businesses throughout the region. We make sure you can always talk directly with your lawyer. Dealing with your questions is never an inconvenience – that’s why we promise a ‘same day response’. No hidden fees means you need never worry about a nasty surprise. And we always use simple words in place of complex technical jargon - so you always understand. We're also open on Saturdays so you can access quality legal advice at the weekends. We also have multi-lingual staff who can offer services in Polish and Welsh. Hopleys GMA (incorporating Keene and Kelly) is part of the leading household name for legal services in the UK, please contact us in Wrexham or Mold to speak with our friendly and knowledgable team to discuss your situation and how we can help. The firm Hopley Pierce and Bird started in the 1880’s, and has acted for individuals and businesses throughout the twentieth century. Geoffrey Morris and Ashton was founded by Geoffrey Morris and Barry Ashton back in 1969 and the office was based in Wrexham, however, they opened an office in Mold in 1972. The two firms united in 2012 to form Hopleys GMA. In 2017 the firm acquired Mold-based Law firm Keene and Kelly, which has had a presence in Mold since the 18th Century. In 2018 Hopleys GMA acquired a further well established practice, Macloskey Solicitors, further increasing its services and expertise. Although the firm has over 400 years of history, it has a progressive and modern approach to providing a comprehensive set of legal services ranging from family, to conveyancing, employment law, wills and probate and criminal proceedings. May I take this opportunity to thank your practice for the excellent work that you did for me, relating to a long standing matrimonial dispute. I had received advice from another solicitor some years ago, and their advice was that the matrimonial agreement would not be honored and long litigation would be required to obtain judgement from the Court. As clients we have always appreciated the high level of service we have received from Paul Andrews and Jessica Roberts. We have been guided through, often complex issues. They deliver a professional service , offering concise explanations of options and outcomes. They display great judgement, have valuable experience of expertise and knowledge of our industry and have delivered the best outcomes. I would like to confirm my satisfaction in the way my legal affairs have been dealt with over the last few years. Enquiries have been dealt with swiftly and efficiently and with a touch of humour when needed. Your firm is one of the few in your profession where I feel I can pick up the phone for ‘a chat’ and not get a huge bill at the end. The advice given is always down to earth and practical. When I don’t want to take your advice, but do, you are usually proven right. I’d like to take this opportunity to thank you for the excellent job you have made of my conveyance work over the last 12 months. Each purchase has gone through quickly with the minimum fuss and at a very reasonable cost. I would have no hesitation in recommending your services. I would just like to take the time to put in writing how pleased I was with your services. You took care of all the legal services and documents required when I sold my land recently. I was grateful that I did not have to make numerous or indeed any chase up calls which I have had to do with other solicitors I have used in the past. My marks indicate how pleased and impressed I was with your service. J Marsland was as previously very professional and efficient, yet friendly and relaxing which made the whole process go so smoothly. Thank you. I approached Gareth Lloyd from Quality Solicitors Hopleys GMA because I was buying a home and needed a solicitor. Gareth helped me by dealing with all the Conveyancing matter swiftly and efficiently. He was always friendly and approachable and kept me well informed of the progress of both my sale and purchase. Alun and Amy, I once again would like to convey my sincerest thank you to both of you on behalf of Lyn and myself. The way that Amy on the 5th and Alun on the 20th acted with compassion, expertise and friendliness put us at ease at a very difficult time. Even though we have only known you for a very short time, both of us already feel that you are very good friends. I would just like to thank you for all the excellent job you did sorting my landlords tenancy agreement. The service that you provided me with was excellent and very reasonably priced. I have no hesitation in recommending you to my friends, family and clients. Terry Christian has caused some controversy by stating that businesses that are negatively affected by Brexit should “sack leave voters first”. For those employers considering adopting this approach, or those employees wondering whether they will be in the firing line, we have considered the lawfulness of this suggestion. Divorce and separation can have a huge impact on families, especially on any children involved. Family Solicitor, Gareth Morris Jones (insert link) shares what parents and other adults need to know when issues such as where the child should live or how much contact they will have with the ‘non-resident parent’ arise. Other issues might include maintaining a relationship with the extended family members (such as Grandparents), or the child’s welfare. QualitySolicitors is a group of modern, progressive law firms providing legal advice for individuals and businesses with over 100 high street locations. QualitySolicitors firms are independent law firms that share the aim of providing clients the highest standards of legal expertise combined with exceptional customer service. 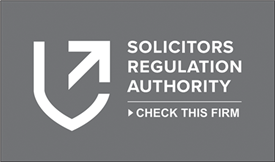 QualitySolicitors Hopleys GMA is authorised and regulated by the Solicitors Regulation Authority, no. 303553.